Shelter-books are a collection of books that function as shelters. 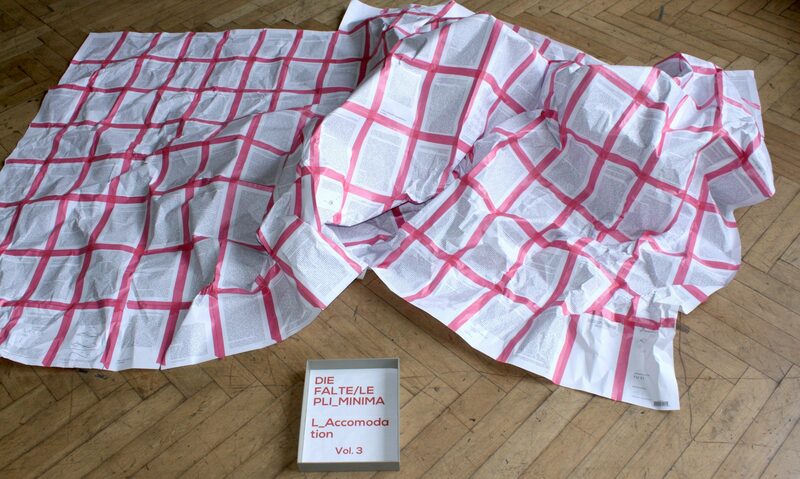 Vol .1 SHELTER: can be used to protect oneself from looks in public space, e.g. public transport and offer you at the same time a panoramic view as protection. Vol. 2 off-grid: Provides protection for the constant receiving and sending of data. Vol. 3 LE PLI minimal_accomodation: can be unfolded into a space made of the complete copied version of the book LE PLI by Deleuze’s, to offer a minimal accomodation referring to the principle of LE PLI.